Some outstanding news has been announced from the Gulf of Mexico Fishery Management Council. 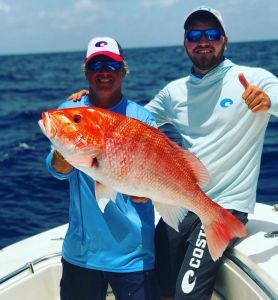 The 2019 Red Snapper Season CFH will open June 1 at 12:01 am and run thru August 2 – 12:01 am local time. 62 days is more days than we have seen in many years to be able to harvest Gulf of Mexico Red Snapper in Federal Waters. 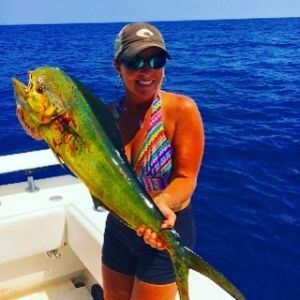 We offer four different trips for our Deep Sea, Red Snapper Charters. time and less drive time because of the much quicker deep-water access. 30 miles out of Galveston and we are only in 55 foot of water. 30 miles out of Bay’s Landing in Freeport and we are in 110 foot of water. Less driving and more fishing! Lodging at Bay’s Landing is only for our fishing customers and their guests. Sleeping up to eleven people at only $200 per night – it is tough to beat. Waking up to a cup of coffee on the balcony then walking downstairs in the morning to catch the boat is as simple as can be. 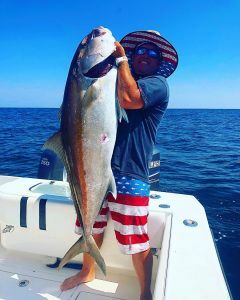 Not only is a night before the trip great – but the fact of returning to Bay’s Landing where all the amenities that could be asked for including a grill to cook your fresh caught red snapper, outdoor bar, tv, and more. 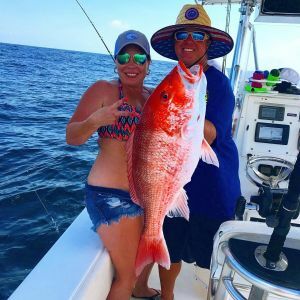 We are now booking for 2019 Red Snapper Charters. Give us a call or reserve your date online, and lets go catch some Big Fish!